Very clean, near the beach, nice swimming pool. Comfortable bed, and big tv. Nice view from the balcony. Breakfasts were good, with many good choices, well presented and cooked. Our apartment was well positioned and had easy access. Though there was some noise from the evening entertainment it did not disturb us in any way. Loved the whole place in general... good location too all bars/restaurants outside gate and very short walk to benalmadena. Also loved the music and activities that took place at the pool each day. Didn't have to even leave the area if didn't want to due to everything available on site including a great shop, bar, restaurant, gift shop, day and night entertainment. The Club sandwich was gorgeous. The entertainment both day and night for kids was top class. The Entertainment team were best I've ever seen in Spain good enough for West End I reckon, kids were fully entertained and adults alike. the location right next to the beach is perfect, the staff were friendly and helpful. we have been twice and will be back again. great value for money! Location was perfect, staff were lovely and so friendly and helpful. Pool was spotless and plenty of activities throughout the day, shows were good at night. The staff that did day and evening activity were brilliant and so motivating getting everyone involved with the activities. Toilet was broken and did not flush - reported it twice and it was not fixed - had to put hand into cistern and pull to flush. No couch at all. Nothing in tiny kitchen to clean it no sponge, brush and cleaner never cleans kitchen. No Air Conditioning eventhough I emailed and phoned and was told that there was Air Conditioning. Went to reception and asked about air con as room was 27C at night, Said it was not turned on in the hotel but would be on in 2 days . It was not turned on so we asked for a fan - gave us an old fan but it did not work. 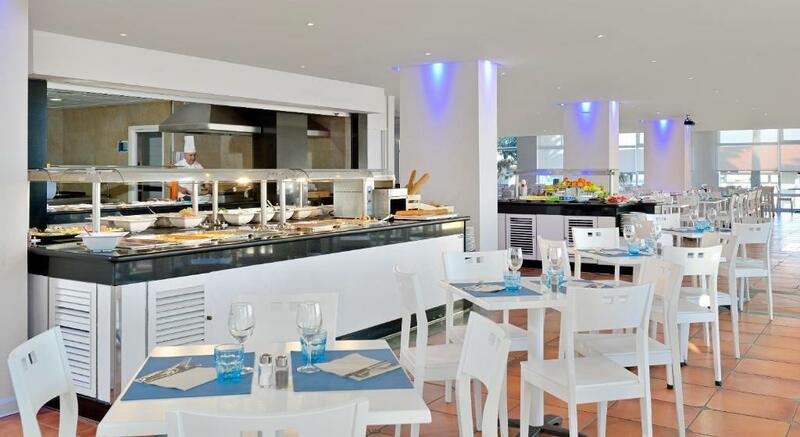 Great breakfast for all tastes; location on the passeo and the beach; easy access to city buses for trips to Malaga, Mijas and other communities in the area. Front desk staff and dining staff is friendly and helpful. Nice apartment added bonus of a seaview and toiletries provided made it good value for money. Ideal location for marina and walking along the promenade, we did not opt for breakfast so cannot comment on the food. Quick and easy check in, good location and lovely sea view. Quiet location. Lock in a great price for Sol Timor Apartamentos – rated 8.1 by recent guests! Sol Timor Apartamentos This rating is a reflection of how the property compares to the industry standard when it comes to price, facilities and services available. It's based on a self-evaluation by the property. Use this rating to help choose your stay! 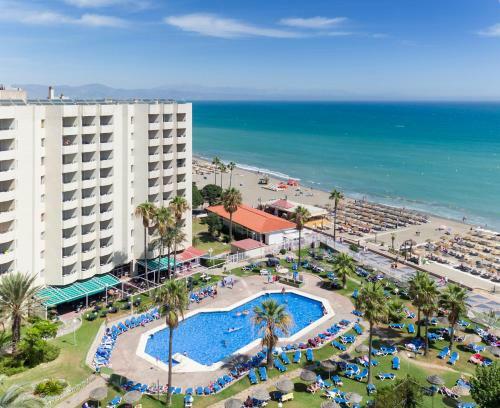 One of our top picks in Torremolinos.Located in the Montemar area of Torremolinos, the Sol Timor Apartamentos are surrounded by gardens and set in front of the beach. They have a large outdoor swimming pool. The Sol Timor’s apartments have balconies and satellite TV. The kitchens have hob, microwave, toaster and fridge. Some apartments feature sea views. Around the pool is a terrace with sun loungers and parasols. The Sol Timor also has tennis courts and a range of activities for children. The hotel's buffet-style restaurant serves breakfast, lunch and dinner. The beach restaurant serves classic dishes such as paella, while the poolside bar serves snacks all day. There is also a café bar, open all day. The Sol Timor has an on-site supermarket and is surrounded by dining and entertainment facilities. A bus stop nearby takes you to Málaga, while Málaga Airport is only 3.1 mi away. When would you like to stay at Sol Timor Apartamentos? This apartment features a twin bedroom and a private terrace. There is satellite TV, and the kitchenette includes a microwave. This studio features a private terrace. There is satellite TV, and the kitchenette includes a microwave. This apartment features a twin bedroom and a private terrace. There is a lounge with a double sofa bed and satellite TV, and the kitchenette includes a microwave. Opening onto a balcony, this apartment features a twin bedroom, a double room, and a lounge with satellite TV. The kitchenette includes a microwave. This air-conditioned studio features a private balcony, a lounge area and an equipped kitchenette. This air-conditioned apartment features a private balcony, a lounge area and an equipped kitchenette. 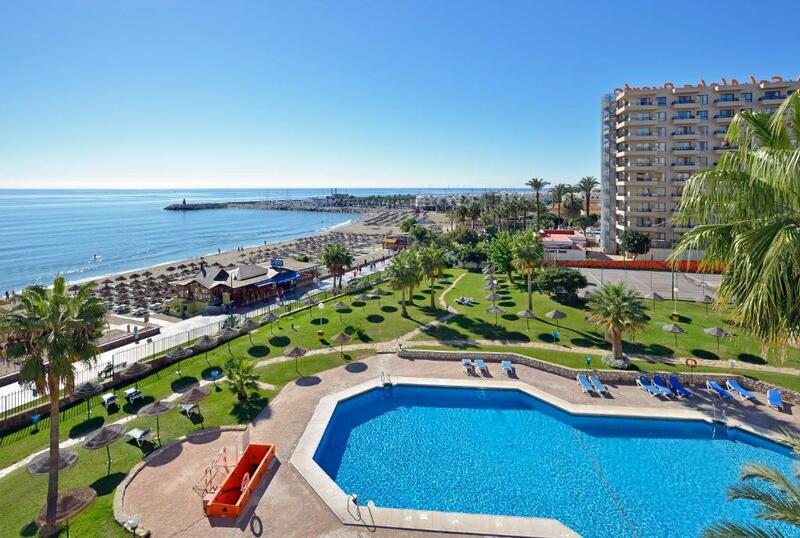 This air-conditioned apartment features a private balcony with views of the sea and 2 bedrooms. This apartment has a kitchen, seating area and flat-screen TV. This apartment features air conditioning, balcony and seating area. This apartment has air conditioning, sea view and tile/marble floor. Creamos vacaciones personalizadas para cada uno de nuestros clientes. Pensamos en todo, desde el mas mínimo detalle hasta la experiencia mas completa. Tanto si son vacaciones para descansar y relajarse como para pasarse lo en grande o sentirse mimado, en Sol lo hacemos con dedicación y pasión. SOL TIMOR se encuentra localizado junto a la zona de ocio de Puerto Marina, uno de los núcleos turísticos más importantes de la Costa del Sol, con variados centros de diversión, tiendas, restaurantes, bares y discotecas, Acuario, entre otros lugares. LAS PLAYAS, PRINCIPAL ATRACTIVO TURÍSTICO Torremolinos cuenta con casi 7 kilómetros de litoral. Sus playas se caracterizan por ser de arena oscura y oleaje moderado Destacan: Los Álamos, Playamar, El Bajondillo, La Carihuela, Montemar y El Saltillo. Todas ellas son playas urbanas y accesibles desde el Paseo Marítimo Las playas más populares son la de El Bajondillo (cuenta con un kilómetro de longitud por 40 metros de ancho) y La Carihuela ( dispone dos kilómetro de longitud por 40 metros de ancho). GASTRONOMÍA TÍPICA Los platos típicos de Torremolinos son la ensalada de pimientos asados; los espetos de sardinas; el gazpacho; los mariscos y crustáceos como coquinas, conchas finas,gambas, navajas, cigalas, carabineros; el pescado a la sal, el pescaíto frito y las típicas tortas de Torremolinos. House Rules Sol Timor Apartamentos takes special requests – add in the next step! Sol Timor Apartamentos accepts these cards and reserves the right to temporarily hold an amount prior to arrival. Please note that half board rates include breakfast and dinner. Guests may change dinner for lunch by informing Sol Timor Apartamentos at least 48 hours in advance. We had a room directly above the night time entertainment. It felt like my ear was on the speaker instead of the pillow, it was extremely loud. To make it worse, the singers were absolutely murdering all the classic songs. I did complain on several occasions to reception as I have two young children who also couldn't sleep but I was very disappointed when they just told me that they would tell the entertainers to 'tone it down a little.' (Which they obviously didn't do) No apology and no options to change room. We had paid for a two bedroom sea view room which was a great size for us but it was really dirty, our feet were black walking on the floor within 5 minutes, some of the light switches had chocolate/poop stained on them, there were several cockroaches found in the bathroom, the microwave needed a scrub, the paint was falling off the walls, the skirting was non existent and damp, no fresh clean smell at all. The fold away sofa beds were more comfortable than the proper beds in the rooms which felt like you were sleeping on a kitchen worktop. The constant smell of fish from the restaurant at meal times is not inviting at all, we never ate in there. The rest of the areas were dull and in need of a refurbishment. My daughter sliced her toe around the pool area, it was bleeding quite badly and she was very upset, no staff member came to see if we needed anything, despite many walking by and the blood was left all over the area from where she was walking. We have stayed here on a number of occasions and this has by far been the worst experience. We will not be back. Great location to beach, marina, restaurants. Good price for drinks at happy hour. Plenty of sun loungers available, no need to reserve with towel. Staff were not very friendly or accommodatimg. Rooms need upgrading. Payed for Mediterranean view, but put on the back side of the Hotel where technical it is a Med view (mostly hotels small section of Med) but I cant see where there would not technically be a room without a Med view as all rooms would show a small section of med, so I feel ripped off. My hotel room was awful. The air conditioning wasn't working, there was an infestation of ants in the kitchen, the patio door rattled and banged in the frame all night so not much sleep, the sofa bed mattress was well past its usable time and some of the lats were broken, some of kitchen cupboards were dirty inside, there cigarette burns on the tables and it was generally looking run down and tatty. Supposedly 3* but the room is more like a 1. Beds were extremely uncomfortable, could barely sleep a wink my entire stay. Our beds were more like cots and we're hard as a rock. You couldn't ask for a better location, the grounds and swimming area we're excellent. Youre basically on the beach which is excellent.